The company's 'Call of Duty: WWII' surpassed more than $500 million in sell-through for its first three days on the market. Activision Blizzard Inc. (ATVI - Get Report) has just leveled up. The interactive entertainment company's "Call of Duty: WWII" game surpassed more than $500 million in sales for its first three days on the market, Activision Blizzard said in a statement Wednesday, Nov. 8. Shares of Activision Blizzard jumped 5.5% to $64.31 in late-morning trading on the rosy outlook for its newest game. The video game, part of the ever-popular Call of Duty franchise, topped popular theatrical box office openings "Thor: Ragnarok" and "Wonder Woman" combined in opening weekend sales, Activision said. On the Sony Corp. (SNE - Get Report) PlayStation 4, "Call of Duty: WWII" set a record as the best-selling digital full fame by units sold on its first day of availability, Activision said. Overall global unit sales during the game's launch doubled from last year. 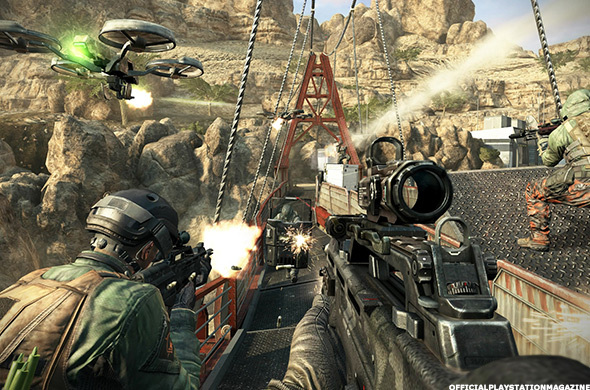 The game attracted the highest total connected users on current generation consoles and PC in all of the Call of Duty franchise's history. While sales reach new records for the Call of Duty franchise, Activision Blizzard is facing legal action over its Call of Duty games from Humvee military vehicle maker AM General LLC. The company claims Activision portrayed its Humvee models and trademark "HMMWV" logo without gaining permission from AM General, according to a report from Reuters.